Soccer City Stadium is the largest soccer stadium in South Africa. It is situated near Nasrec in Johannesburg, in South Africa. The stadium is the main venue for the Fifa World Cup 2010 kick-off match. This stadium would also host the finals of Fifa World Cup 2010 and the semi-finals are going to be in other two Soccer stadiums of South Africa namely; Cape Town Soccer Stadium and Moses Mabhida Soccer Stadium. 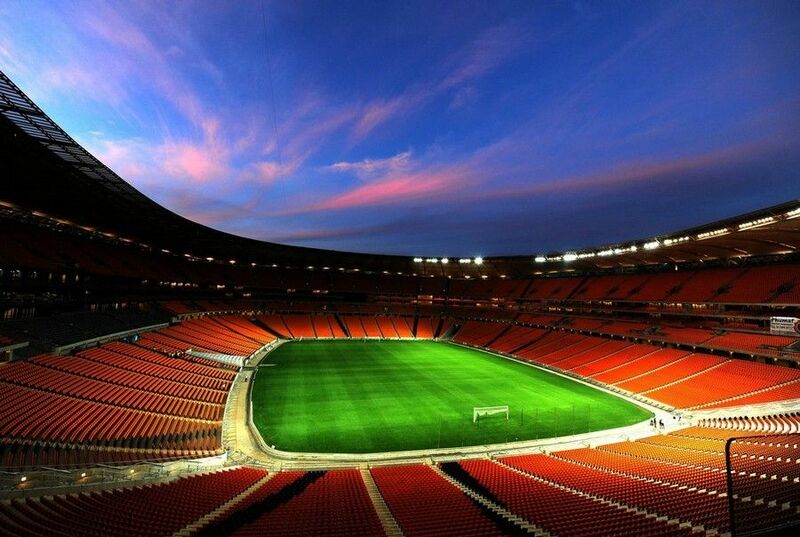 There is one other smaller stadium known as Ellis Park Stadium, but it is mainly used during Rugby matches. 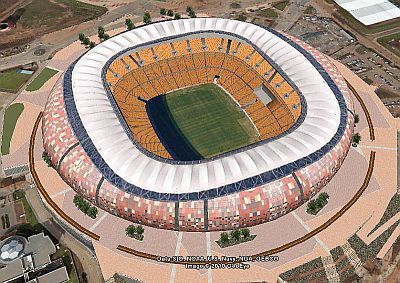 Soccer City stadium has a capacity of 94,700 people, which makes it the largest stadium in the whole African Continent. It also has a 2 meter moat to keep fans away from players. 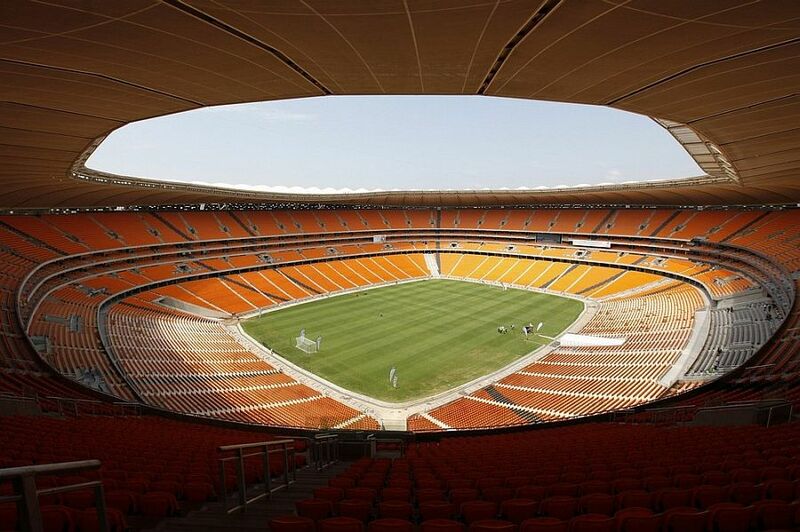 This stadium is also known as FNB Stadium (First National Bank stadium). It is situated close to Ellis Park Stadium. The old stadium had a capacity of 80,000 spectators. So, its capacity and infrastructure had to be upgraded if it had to host the 2010 Fifa World Cup. A redesign of the interior and exterior architecture was envisioned for this stadium inspired by the African Calabash or gourd. A number of upgrades were done, including an extended upper tier around the stadium to increase the capacity to 91,141, an encircling roof, new changing room facilities and new floodlights. The number of premium corporate suites in the stadium was increased to 195. The final phase of the upgrade was the installation of a composite roof made by Hightex, a German company based in Rimsting, Bavaria. The Hightex engineers chose material for the roof produced by Verseidag, a fibers manufacturer based Krefeld, Germany. From Krefeld the material was transported to Thailand where the composite material membranes were thermally bonded into custom-built roofing panels. A teflon coating was used to waterproof the roof, as is usually done. This stadium also has plenty of supporting infrastructure for the 90,000+ fans that would visit the stadium during the Fifa World Cup 2010. It has very beautiful landscape and gardens. There is a direct high-speed train to the venue at Nasrec Railway Station. There is a very large car parking space as well as an Amphitheater. This is an excellent example of good engineering and design. Have you make this projects for this stadiums of fifa? and are making a design for new stadiums for brasil year 2014, or its making another engineers?